But would new regulation really be necessary? A Manitoba politician is aiming to ban discrimination based on weight — but one lawyer is questioning whether such legislation is necessary. Liberal member Jon Gerrard recently tabled Bill 200 in the provincial legislature aiming to ban discrimination based on weight. If successful, Manitoba would be the first jurisdiction in Canada to specifically ban this type of prejudicial treatment, he said. 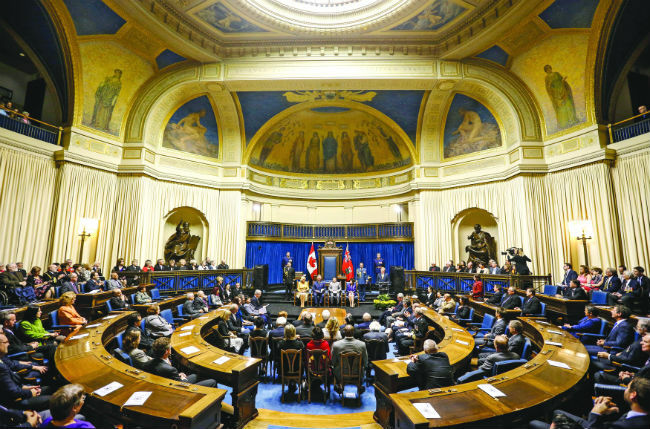 While Gerrard is a private member facing a majority Progressive Conservative government, he said he is hopeful that meaningful discussion will occur on his bill during the spring session. But Manitoba’s human rights code already includes a “catch-all” that doesn’t appear uniformly in other provincial human rights codes, said Winnipeg labour lawyer Ken Dolinsky, a partner at Taylor McCaffrey. Arguably, with or without specific language surrounding weight, the current provincial code already protects workers and citizens from that form of discrimination, said Dolinsky. Further, Manitoba legislation under the Workplace Safety and Health Act protects workers from harassment surrounding body type. Classifying discrimination profiles in legislation gives less credence to other classes of individuals who may also suffer harassment, said Dolinsky. A better avenue may be educating the public that treating people as second-class citizens due to personal characteristics is grounds for discriminatory challenges, he said. And organizations should still review hiring practices to prevent a possible lawsuit, said Dolinsky. Cases of weight discrimination have been tried in a variety of Canadian jurisdictions — typically when extra pounds were perceived to be a disability, said Dolinsky. Co-founder of the Body Confidence Canada Awards, Andrew is pushing for an amendment to the human rights code in Ontario. A petition she posted to www.change.org in May 2016 has gathered more than 8,500 signatures of support. Discrimination isn’t always obvious or intentional, said Andrew. Additionally, work absenteeism can often result when employees feel judged or ridiculed by colleagues. “The irony is if we cure the ‘social illness’ of size and physical appearance discrimination, it can be economically beneficial to the workforce,” said Andrew. Benefits to this type of legislation could trickle down as far as the provincial economy, said Gerrard, noting the provincial GDP could increase its productivity as a result of a decrease in mental illness. A doctor by trade, he said it has “been a journey in terms of learning” on this issue, stemming from both medical studies and discussions with affected citizens who have felt discriminated against because of their weight. “I was stunned to see how big a problem, and how blatant a problem, it is,” he said. Society needs to move beyond blaming the victim and recognize that being overweight, for many people, is in their genes, said Gerrard. People need to be comfortable in their body, he said. Physical and mental well-being go hand in hand, said Gerrard.